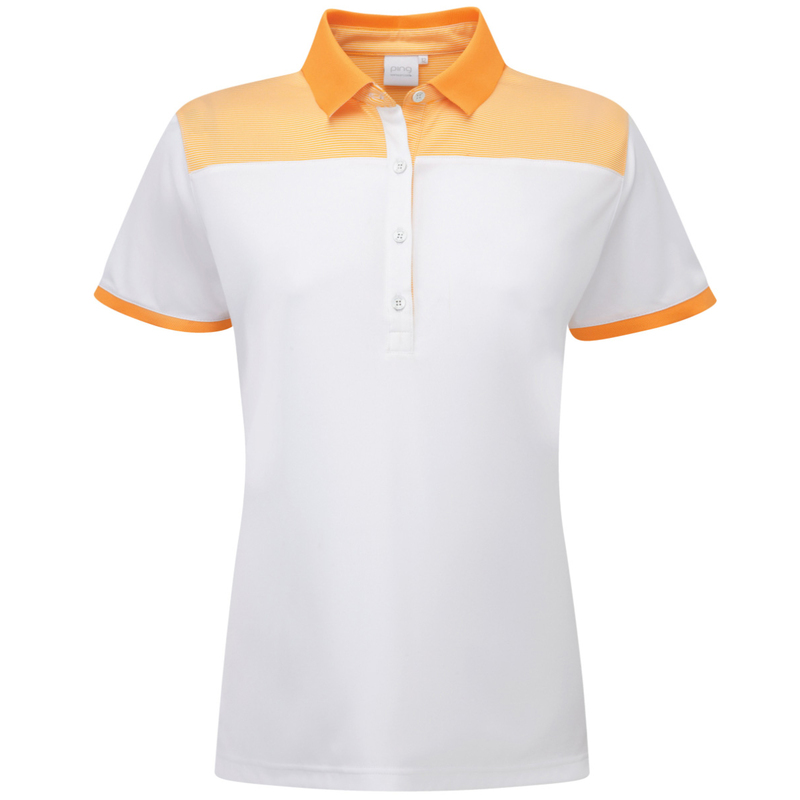 The PING Petula Ladies Polo Shirt is the ultimate summers golf polo. Constructed with sensorcool technology, moisture is moved away from the body to promote fast evaporation. This process helps to keep you cool and dry in the heat. The material is also crease resistant and provides UV+50 protection. 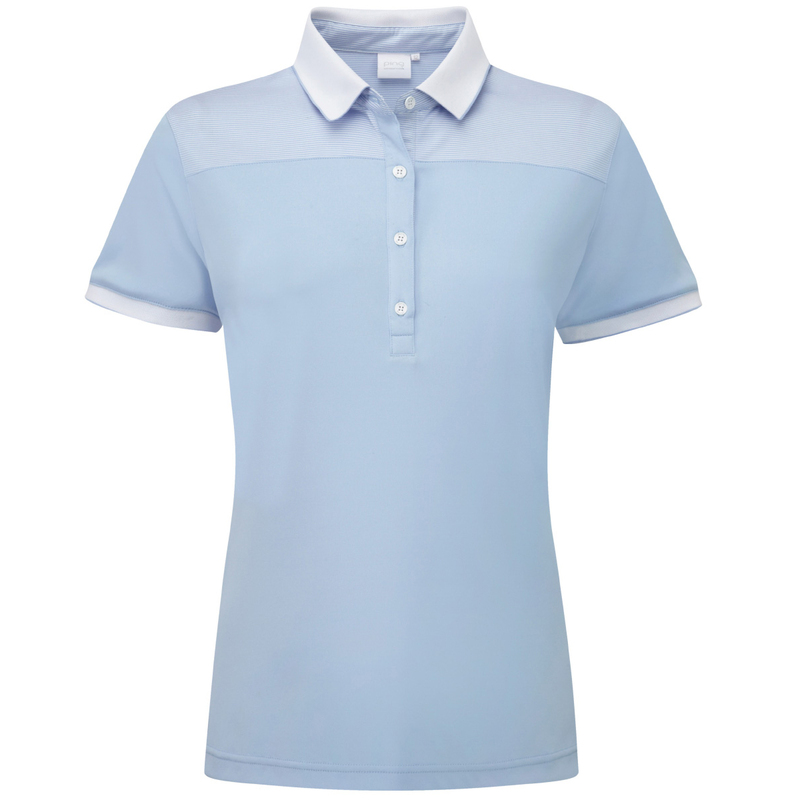 The cotton touch feel fabric ensures this wonderful polo shirt provides superior comfort. Stylish design features include a stripe pattern across the shoulders, contrast collar and sleeve hem, and a 4 button placket.